Margaret Mead said, “We won’t have a society if we destroy the environment.” As the world celebrates World Environment Day on 5th June, it is a good time to reflect on the environment in Nagaland today. Invariably, the environmental problems that afflict Nagaland such as pollution, destruction of public property and having civic sense have far reaching consequences that prohibit the progress of our society. Let’s work together to save our State and our planet Earth. 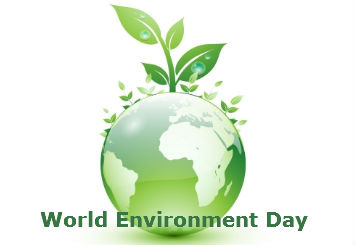 World Environment Day is celebrated each year on 5th June. It was established in 1972 by the United Nations General Assembly to honour the memory of the opening of the ceremony of the Stockholm Conference on the Human Environment. Environment Day is hosted every year by different cities and celebrated with an international exhibition throughout the first week of June. It is used by the United Nations to encourage awareness of environment and to garner political attention and public action. The first World Environment Day was held at Stockholm where, for the first time political, social, and economic problems of the global environment were discussed at great length in view of taking some definite action. From history till date, the environment has been the backbone of mankind. In the field of literature, Romantic poets like William Wordsworth and Robert Frost gave environment greater importance because they penned down many poems describing nature. One such poem is Daffodils by William Wordsworth. It is a beautifully written poem. Here, we see how the poet draws inspiration after watching a big group of beautiful yellow daffodils when he was walking in a lonely valley. Through this poem, we learn the important role environment plays in mankind’s life. Just like the poet, who was all alone with a low spirit and an unhappy mind, when a person is standing low, it is nature which remains an inexhaustible source and a priceless treasure of joy and inspiration. The need to save the environment is important as it acts as a uniting agent among the diversity of people living in a society. We see it in the first famous ChipkoMovement in Gujurat in April 1973. The name of the movement came from a word meaning ‘embrace’. The villagers hugged the trees saving them by interposing their bodies between them and the contractor’s axes. The movement achieved a major victory through the Gandhian method of non-violent resistance. Increasingly, the resistance to destruction of forests, spread throughout India. Men, women, and children, all took part in this movement. Hundreds of decentralised and locally autonomous initiatives resulted in uniting the people. Even in the most common phrase of the student, it is said that, “In order to study, we need a good environment around us”, without which learning is incomplete. Environment not only provides the necessities we need, but it also teaches us how to be hygienic and civilised. An unstable environment leads to floods, draughts, spread of diseases and other such travesties. In South India, a married couple by the name of Thimmakka and her husband Bikkalu Chikkaiah, adopted 284 saplings of Banyan trees as their children, since they were childless. Though the couple were working in a quarry for their hand to mouth existence, they put in ceaseless effort in nurturing the saplings planted along National Highway 48 in Karnataka. Today, the trees not only provide shelter to humans, but also serve as a habitat for birds, protect soil erosion, maintain the climate temperature, etc. Just recently, Thimmakka received the National Citizen’s Award for Social Forestry. At present the trees are also worth an estimate of 85 crores, resulting in not only the benefit for the couple, but also for the whole country’s resources. World Environment Day is a day that stimulates awareness of the environment and enhances political attention. It is to spread worldwide awareness of plantation in order to make the environment neat and clean. Various awareness campaigns like beach clean-ups, concerts, exhibitions, film festivals, community events, and much more are organised around the world to spread the message which is carried out to bring about equal awareness and increase green footprint. Each year, the theme of the World Environment Day is selected along with a slogan emphasising the importance of protecting our planet and promoting an understanding that each individual can play a significant and effective role in tackling environment issues. Besides all the awareness programmes and slogans, the individual’s contribution depends on his/her own alertness of the environment’s needs. In the present scenario, the need to protect environment has become the first and foremost duty of every individual. We need to change our mindset. It is not only the duty of poets, social workers or NGO’s to conserve the environment. We should also learn from them. Perhaps, we can start off with some of the most basic actions like switching off the fans when not in use, saving water by closing the taps after use, maintaining cleanliness in and around us, planting trees, etc. We should perform all these actions not only on World Environment Day, but make it a regular habit without being laidback. Our actions may seem small, but at the end, it is through our little contributions that we make the world a better place to live in. After all, every action counts.